Madrid’s Barrio de las Letras is the city’s literary neighbourhood and has, over the years, been the stomping ground of writers like Miguel de Cervantes and Ernest Hemingway. These days, it’s full of pretty streets, buzzing bars and excellent tapas bars. Here’s our pick of some of the best. 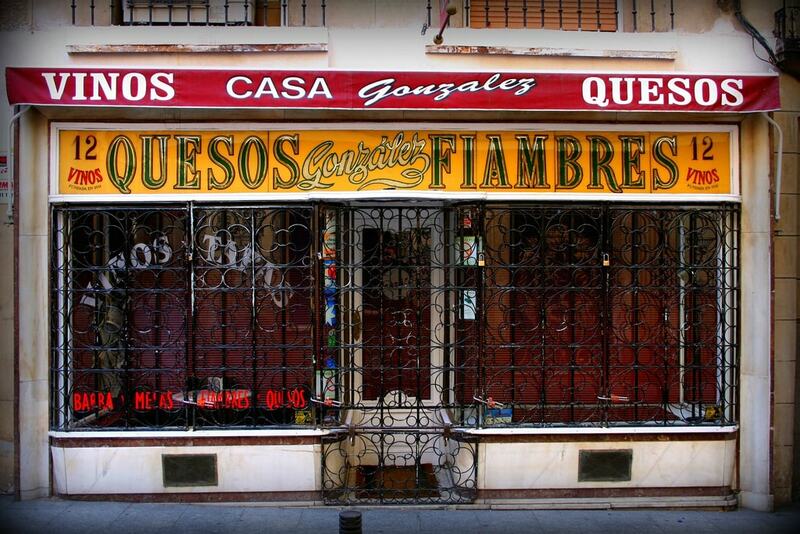 This cosy little deli has been in the González family since 1931 when it was opened as a neighbourhood shop. Today, its cold cuts, cheeses and extensive selection of wines by the glass draw locals into its welcoming bar. Also offered are hot and cold tapas, from oxtail stew and wild boar to red peppers stuffed with squid and padrón peppers. Try to grab a seat by the window to watch the bustle of Calle León as you snack. TriCiclo has been raved about since it opened in 2013 and its modern take on Spanish cuisine is delicious and inventive. 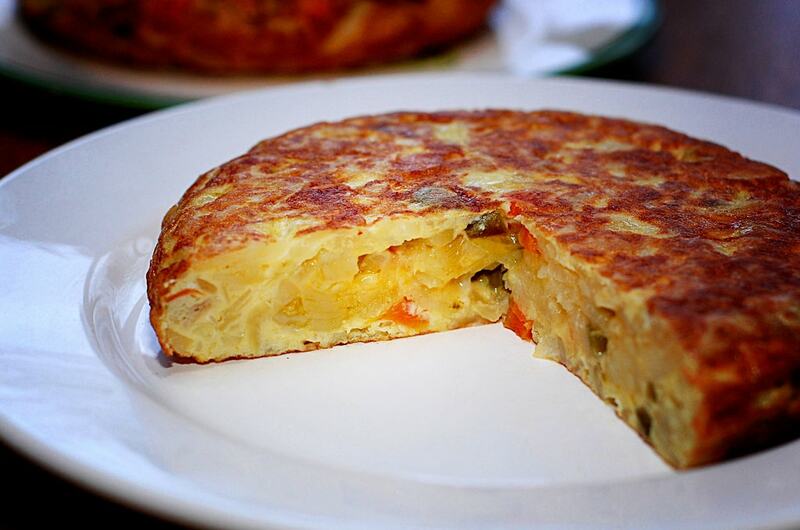 All of its dishes are offered in full, half or third portion sizes, with thirds being about the same size as a tapa. This means diners can mix and match and make their own exciting menu of different dishes, which changes regularly depending on the seasonal availability of certain ingredients. Newspaper by name, newspaper by nature, El Diario (The Newspaper) has ceilings covered in old newspaper pages and has been running since 1897. 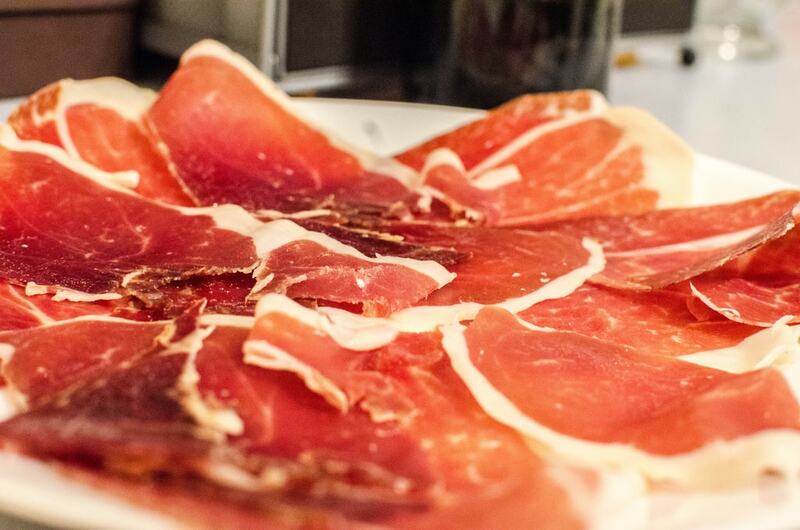 It offers a menu of traditional Spanish dishes as well as tapas at its bar if you don’t want a full, sit-down meal and its anchovies in vinegar, crispy calamari and Jamón Ibérico are all must-tries. 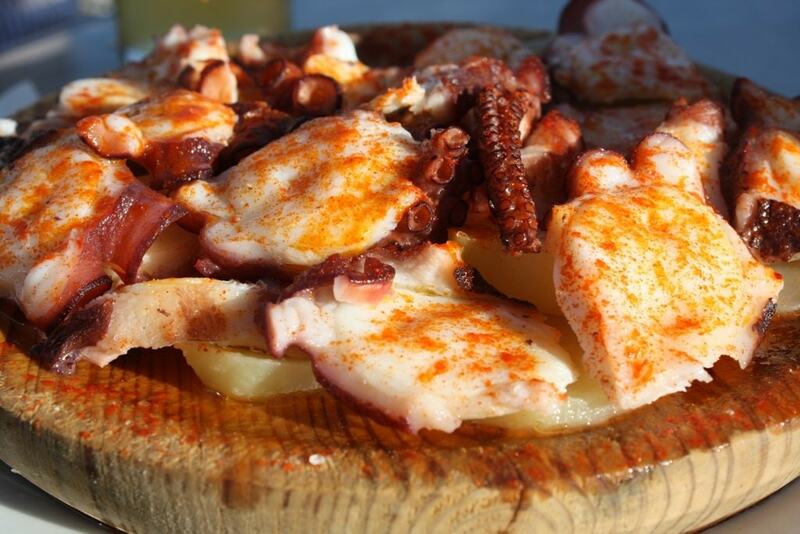 Maceira, sitting at the bottom of a hill on Calle de las Huertas, specialises in Galician cuisine and serves octopus, percebes (goose barnacles) and padrón peppers, which you can wash down with some crisp Albariño, a Galician white wine typically served in a small ceramic bowl. Decor is rustic with low, wooden tables. While many of the restaurants lining the beautiful Plaza de Santa Ana are a bit of a rip off, Lateral remains a local favourite because of its reasonable prices and wide variety of tapas dishes. 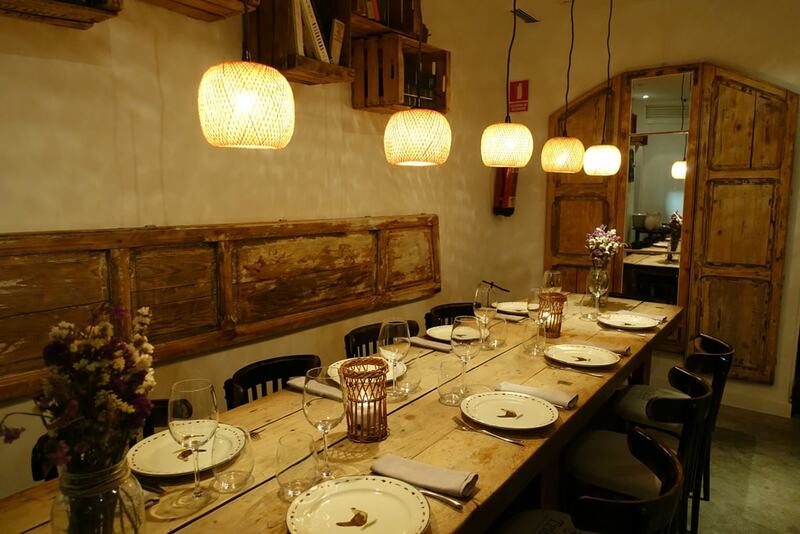 It is part of a local chain with six different restaurants in Madrid and one in Barcelona. The menu mixes Spanish classics like tortilla, croquettes and morcilla (blood sausage) with more internationally-inspired dishes like chicken quesadillas and duck bao buns. While it might not win any prizes for its interior design, Cervecería Restaurante Quevedo is one of those rare places in central Madrid: a bar that offers good free tapas with the purchase of a drink. 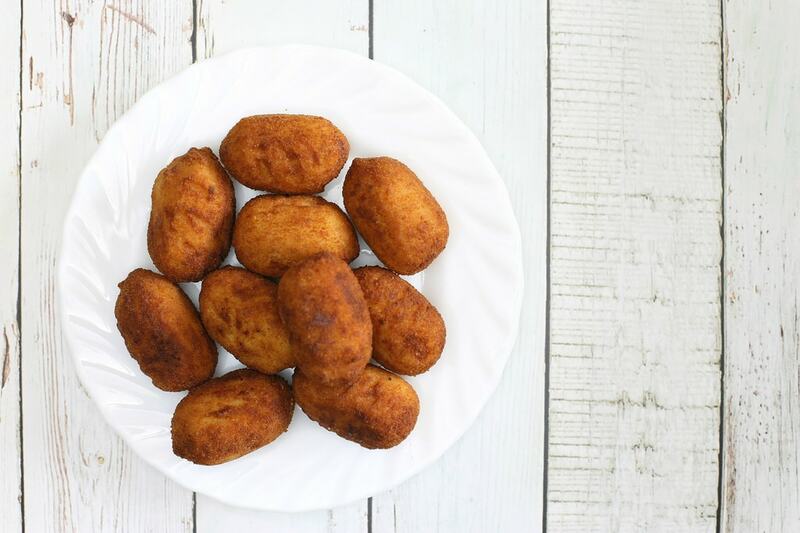 Buy a beer and you’ll be given a plate of Spanish favourites, like croquettes or patatas bravas. Though a sit-down area is available in the back, get a seat at the bar in the front of the restaurant for an authentic Spanish experience. This beer house—a favourite of Ernest Hemingway and open since 1904—is wood-pannelled and staffed by smart, white-coated waiters. 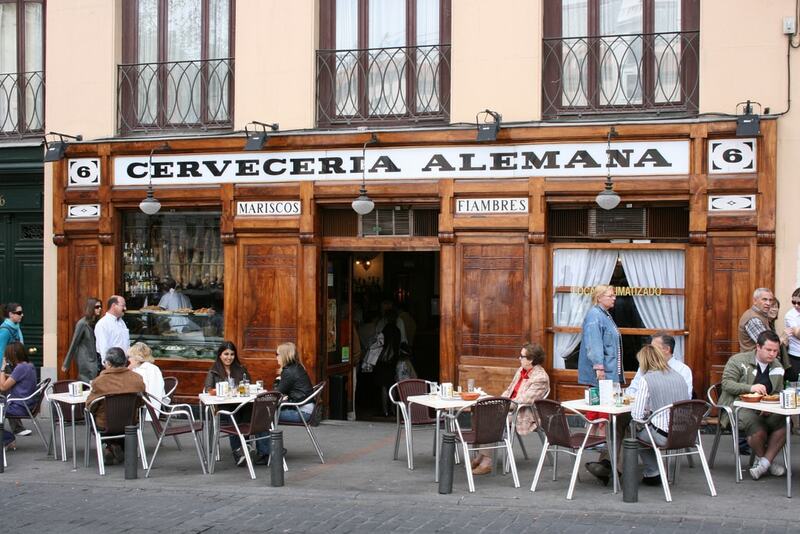 It’s also a relaxed place to stop by for a quick beer and a few tapas before heading down to Madrid’s main museums. The menu of raciones (sharing plates that are bigger than tapas) includes seafood, croquettes, meatballs, tortilla and tripe, a Madrid specialty.